When the passion for innovation is combined with respect for tradition, Conde Valdemar is born, producing wines that showcase the virtues of this land: the land of the Rioja. Combining the ability to look to the future with keeping their history alive, to create, among others, the first barrel fermented white in Spain, Conde Valdemar Finca Alto Cantabria, or the first barrel-aged varietal Garnacha. True to their most traditional and timeless line. Wines that persist in time, that blend the clear and clean fruit with a balanced power and structure, while underscoring the freshness and subtlety characteristic of this area. The great jewel of the winery. The elegance of the Tempranillo grape is very well displayed in this rounded, tasty wine rich in aromas and nuances. Bodegas Valdemar is one of the most prestigious wineries and with more history in making Grandes Reservas of Rioja. It has a bright red cherry colour. 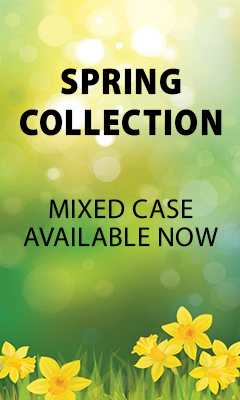 It is expressive with spicy notes and a touch of creamy oak. Very elegant, complex nose. It is round and full-flavoured in mouth, tasty and balanced. The finish is long, lingering and silky. *Please Note. If requiring bottle with gift box as per current image, please enquire before placing order as this is limited availability and may no longer be available at time of purchase with non gift box stock only available. I was lucky enough to select this wine for a business dinner with a few of my customers from the US. All - without exception - immediately expressed just how good the wine was. Full bodied but very smooth with that classic Rioja blend. We had 3 bottles and I then ordered 6 bottles the very next day. 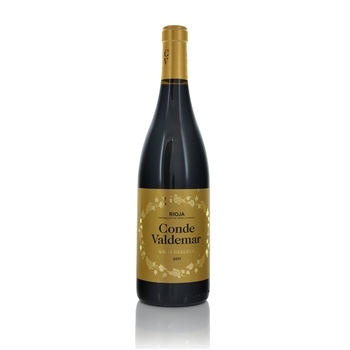 Enjoyed very much though couldn't help thinking that the 2008 Conde Valdemar Gran Reserva was not as good as the 2008 Conde Valdemar Reserva.